This past weekend, Parker Neri, an alum of multiple Fitter and Faster clinics over the years, had a terrific showing at the Big 12 Championship meet. Neri is in his freshman year at the University of Texas. Parker had a few podium finishes at the conference championship meet – including a win in the 500 freestyle with a time of 4:15.40. Here’s a nice article from the Daily Texan. 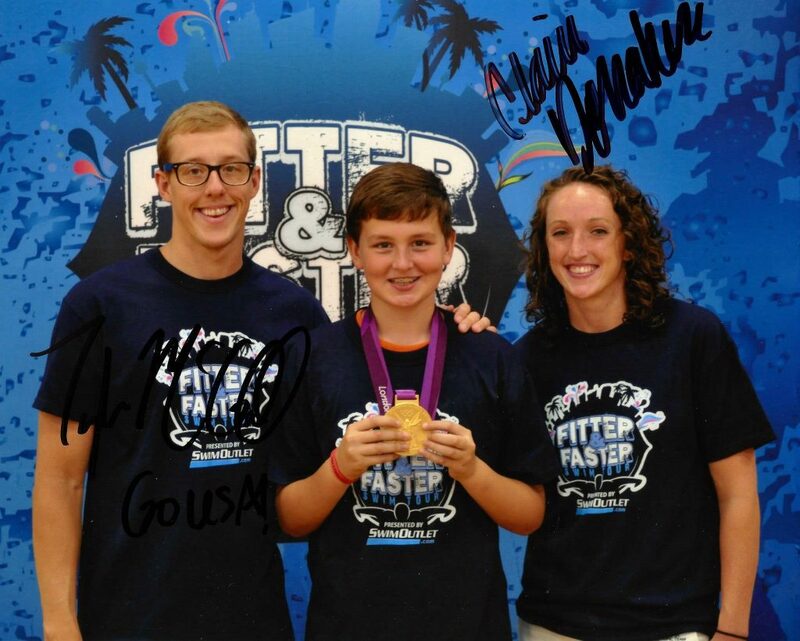 Parker is from Upper Arlington, OH where he swam for the Upper Arlington Swim Club. His first Fitter and Faster swim clinic was in 2010. Over the years Parker attended clinics led by Chloe Sutton, Ian Crocker, Tyler McGill, Claire Donahue, Josh Schneider, Megan Jendrick, Mark Gangloff and Adam Ritter! Here’s a bunch of photos of Parker from over the years at Fitter and Faster Clinics in the Columbus, OH area. How cool is it that Parker is in the pool behind the legendary Ian Crocker at this Fitter and Faster clinic? Now, he attends Crocker’s alma mater! Amazing! Parker with Chloe Sutton and Ian Crocker way back in 2010! What a group Parker has surrounded himself with at this FFT clinic! Josh Schneider, Megan Jendrick, Mark Gangloff and Adam Ritter. The RUBBER DUCKIES! 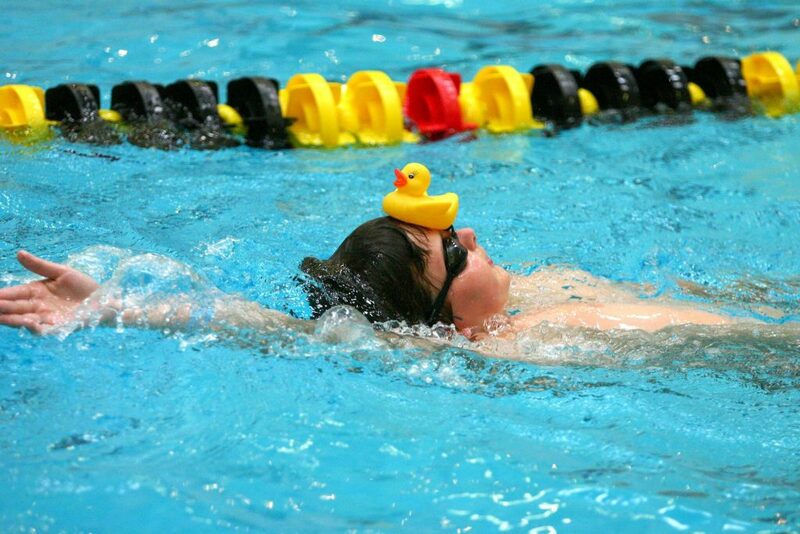 Chloe Sutton used to bring rubber duckies to all her clinics way back when to teach proper body position. 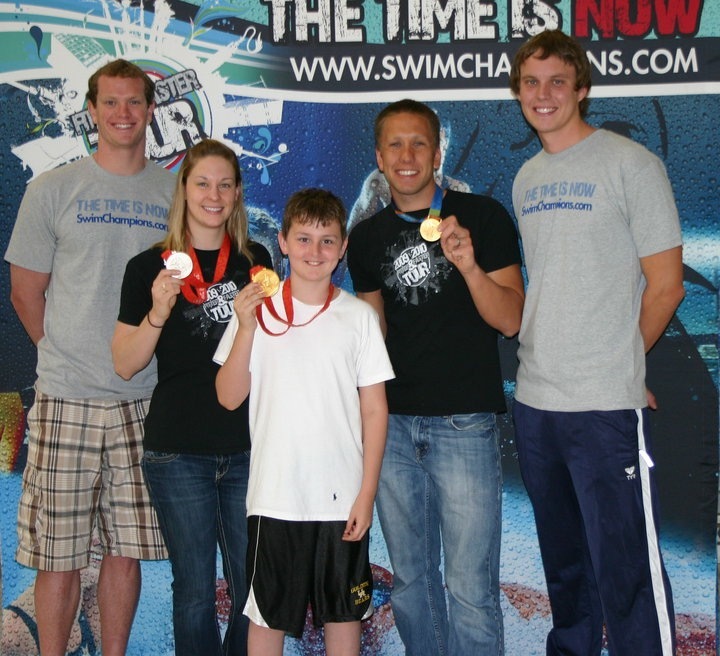 Parker with 2012 Olympic gold Medalists Tyler McGill and Claire Donahue!